Last Updated: May 25, 2018 | Subscribe to our weekly newsletter! It’s not often you’ll need to reduce the sanitizer level in your hot tub. In fact, you’ll most often find yourself testing sanitizer levels, adding maintenance doses, and shocking your hot tub just to make sure there’s enough chlorine or bromine to keep your water clean and safe. 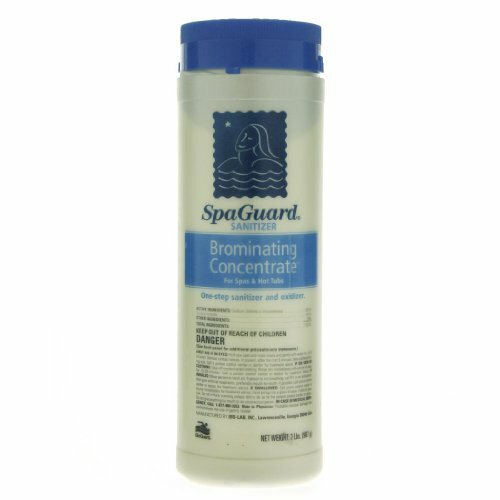 Despite the many things that can deplete sanitizer in your spa, every now and then, you may find yourself with too much bromine or chlorine in your hot tub. You’re risking corrosion of your hot tub components, deterioration of your head rests and spa cover, and even skin rashes if you don’t lower sanitizer levels quickly enough. What Are Chlorine and Bromine? Chemical balance is vital in your spa because healthy water keeps you safe and prolongs the life of your hot tub. Chlorine If you click this link and make a purchase, we earn a commission at no additional cost to you. and bromine If you click this link and make a purchase, we earn a commission at no additional cost to you. are sanitizing agents used to keep your water safe and sanitary. They’re a necessary part of proper hot tub water care because they destroy dangerous contaminants in your spa. Though it may seem unnecessary—or even wasteful if you’re a hot tub newbie—frequent sanitizer doses are integral to your water’s cleanliness and safety. You’ll find yourself testing for and adding chlorine or bromine to your spa even more frequently than you would a pool. The relatively small volume of hot water in a spa is a perfect breeding ground for bacteria such as legionella, which can cause Legionnaires’ disease. Since you’re here to find out how to lower your sanitizer levels, chances are you’ve already chosen which sanitizer works best for you. And if you haven’t the chlorine versus bromine question really comes down to your preference. Chlorine oxidizes spa water contaminants and bromine ionizes them, so your filtration system can get rid of them. Both do a good job when used properly. Are You Sure It’s Too Much Chlorine In Your Hot Tub? Have you been noticing a strong chemical smell around your hot tub? Maybe you or other bathers have experienced stinging eyes or irritation in your throats and noses. Surely this means you overdid it with the chlorine? Well, not necessarily. These are common signs of chloramines or bromamines, the noxious chemicals left behind after your sanitizers attack contaminants. The presence of chloramines or bromamines typically signals that you need to shock your hot tub. In other words, you need to add more sanitizer, not less. If your sanitizer is out of control or stays at a high level for a long period of time, your hot tub surfaces may start to degrade. Damage (and sometimes buildup) on the underside of your spa cover, headrests, and other soft surfaces can occur fairly quickly when sanitizer levels are high. But the most reliable way to determine whether you’ve got too much chlorine or bromine in your hot tub is to test your hot tub water. 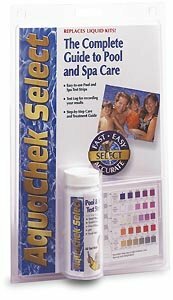 You can also take a sample to your local pool store for professional testing. Either of these testing methods will help you determine whether you really have a sanitizer problem or some other water chemistry issue. When you test your water If you click this link and make a purchase, we earn a commission at no additional cost to you. , what you really want to know is how much functioning sanitizer is in your water. In other words, how much of the chlorine or bromine in your water is still killing bacteria and contaminants. This is known as free chlorine. The used up portion is combined chlorine. When you add free and combined chlorine together, you get total chlorine. You can replace chlorine with bromine in every instance, and the same applies. Ideal sanitizer levels are a cornerstone of basic hot tub chemistry. If you use chlorine in your hot tub, you’ll want to maintain 3 – 5 parts per million (ppm). If you use bromine tablets, 2–4 ppm is optimal. 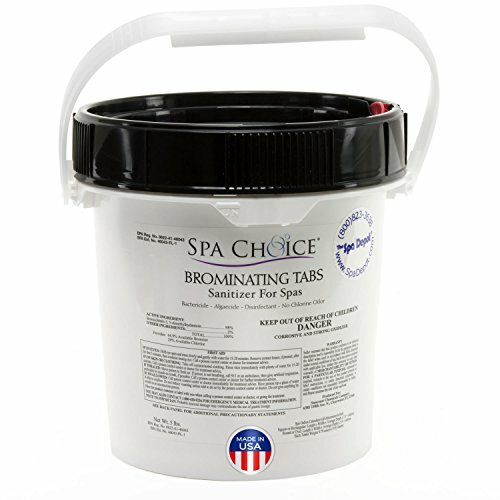 Granular bromine If you click this link and make a purchase, we earn a commission at no additional cost to you. tends to result in slightly higher levels, so keep an eye on it, and be sure to stay between 3 and 6 ppm. You know the ideal concentration levels for sanitizer, you’ve tested your water, and sure enough, you’ve got too much sanitizer floating around. What’s next? You’re in luck. Bringing down your bromine or chlorine levels may be one of the simplest problems to fix in your spa. Don’t add any more doses of chlorine or bromine to your hot tub. If you have a chlorinator or other device that slowly, constantly adds sanitizer, turn it off or remove it from your spa. Yep. Just sit on your hands and give it a day or two. The sanitizer levels will naturally decrease, and probably pretty quickly. Just know that you probably want to stay out of the hot tub during this time. After a couple of days, test your water again. If the sanitizer levels are still high, it’s time to take action. Completely remove your spa cover. This allows significantly more water (and by extension, chlorine or bromine) to evaporate. This step is a bit of a twofer. It will lower chlorine or bromine levels in your hot tub, plus decrease your water level so you can move on to the next action. The water level will likely have dropped a couple of inches, and you can simply top off your spa with fresh, clean water. Let it circulate, then test it again. But if you didn’t lose much through evaporation, and your spa is still nearly full, you’ll need to remove some water so you can reduce the concentration of sanitizer with fresh water. This will be enough to lower the bromine or chlorine to the desired level in most situations. If your spa water has been in your hot tub for two or three months, it’s about time to drain and clean your hot tub anyway. Also, if your water chemistry has been difficult to balance aside from high sanitizer levels, that’s another indication that it’s time to drain and clean. In either case, it makes more sense to start with a full load of fresh water than trying to top off old or highly unstable water. You need to use your hot tub as soon as possible, so you don’t have time to take off your hot tub cover and wait a few days for your sanitizer to dissipate. No problem. 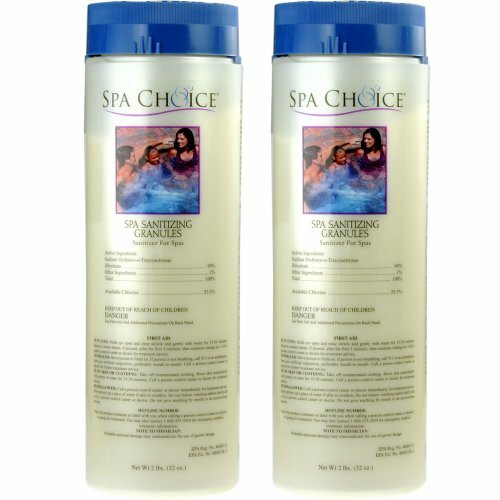 You can use a hot tub water additive called neutralizer If you click this link and make a purchase, we earn a commission at no additional cost to you. , which literally neutralizes chlorine and bromine. Its chemical name is sodium thiosulphate If you click this link and make a purchase, we earn a commission at no additional cost to you. and it’s so effective at getting bromine and chlorine out of water that scientists use it to remove chlorine from water samples before testing and doing, you know, science stuff. Important: We recommend using neutralizer only if you’re in a pinch. It’s easy to use too much, leaving your hot tub without enough working sanitizer. 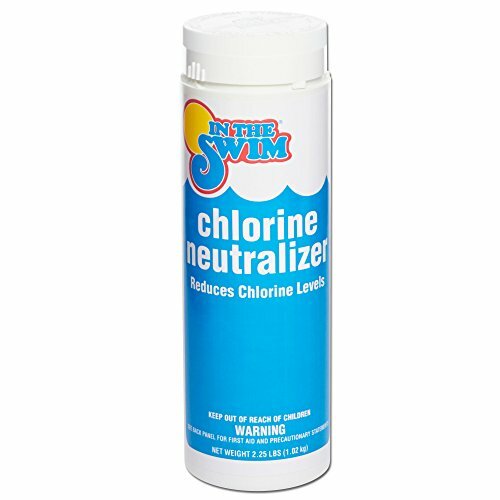 Neutralizer will continue to destroy chlorine or bromine until the neutralizer is completely used up. While it’s great that it doesn’t linger in your water indefinitely, you could find yourself swapping too much sanitizer for not enough sanitizer. If you do take the neutralizer route, follow the manufacturer’s dosing instructions carefully, and remember that it’s only a temporary solution. 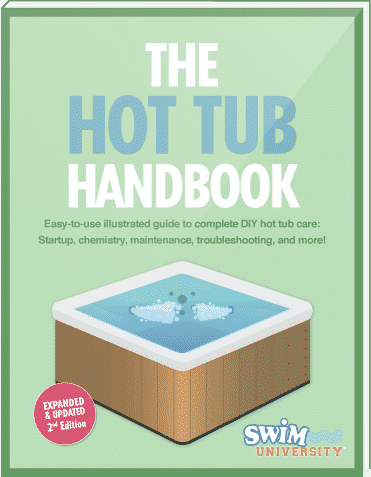 We can’t stress it enough: creating and sticking to a water care plan for your hot tub is the single most important thing you can do to keep your spa—and all the people who enjoy it—healthy. Follow water care best practices, and you’ll prevent many potential chemistry issues. Daily: Run your filter twice per day, for at least an hour each time. If you’re using your hot tub that day, you can run it longer to better filter out human-introduced contaminants. You may also add a dose of sanitizer or spa shock If you click this link and make a purchase, we earn a commission at no additional cost to you. after each use, if you wish. Check your hot tub manual for your manufacturer’s recommendations. Weekly: Pull your filter out and rinse it thoroughly with clean water, or use a filter cleaner If you click this link and make a purchase, we earn a commission at no additional cost to you. , if necessary. Test your water, then adjust alkalinity If you click this link and make a purchase, we earn a commission at no additional cost to you. , pH If you click this link and make a purchase, we earn a commission at no additional cost to you. , sanitizer, and calcium chloride as needed. If you’ve added sanitizer during the week, you may not need to add a weekly dose, so always be sure to test before adding anything. Every Three to Four Months: Just about quarterly (and any time you experience a serious water chemistry problem, like an algae bloom) flush your hot tub circulation lines and jets with a line flush product If you click this link and make a purchase, we earn a commission at no additional cost to you. to eliminate biofilm. 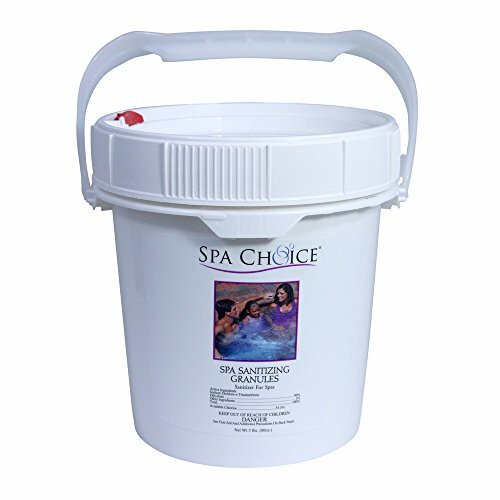 After the sludge and bacteria in your lines is dead and circulating, completely drain the dirty water out of your spa. Clean your hot tub, wash or replace your filter cartridges If you click this link and make a purchase, we earn a commission at no additional cost to you. , then refill your spa with fresh water. Consider using a hose filter If you click this link and make a purchase, we earn a commission at no additional cost to you. to prevent metals and other contaminants from entering your spa in the first place. After you refill your hot tub, balance the water chemistry and shock it. Be sure to test the water one last time before stepping into it the first time. This will ensure your spa contains the correct amount of sanitizer to destroy contaminants quickly so you won’t be soaking in your own germs—or worse, someone else’s. Ew. Moderation is the key when adding any chemicals to your hot tub. Everything you pour in affects something else. They all have the potential to harm you or your spa and components if your chemistry isn’t balanced. So if you find you have too much bromine or chlorine in your hot tub, don’t worry! You can avoid complications by taking the simple steps to bring it down to healthy levels as soon as possible. You’ll be back to enjoying your spa in no time.